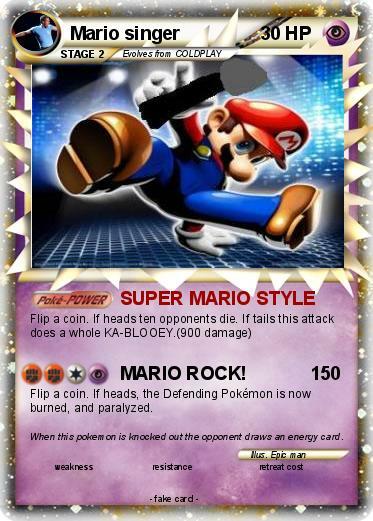 Attack 2 : MARIO ROCK! Flip a coin. If heads, the Defending Pokémon is now burned, and paralyzed. Comments : When this pokemon is knocked out the opponent draws an energy card.